Flip a coin. If heads, have your opponent hold up his hand. Randomly pick a card from his hand to be sent to the discard pile. Both you and your opponent may draw a card. Attack 2 : Super Mario Bros.
Flip 3 coins. 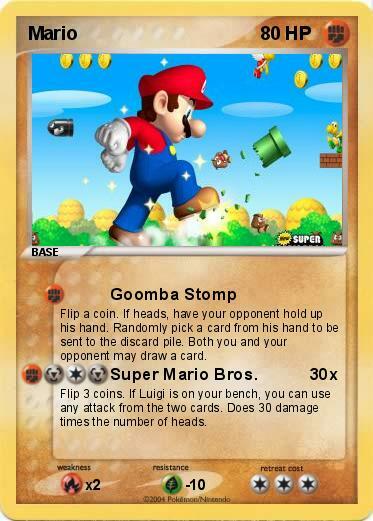 If Luigi is on your bench, you can use any attack from the two cards. Does 30 damage times the number of heads.